WLH’s first major experience in the line with the Battalion was at Locre near Ypres in October. 30 Sept D Coy were sent to F2, F6 (r), SP9 & Regent Dugout. In trenches 7—12 October, 19—23 October and 30 October—5 Nov. Note: Length of a Trench Mortar Course seems to have been about a fortnight. If this is the case, then WLH would not have been in this trench at the time. 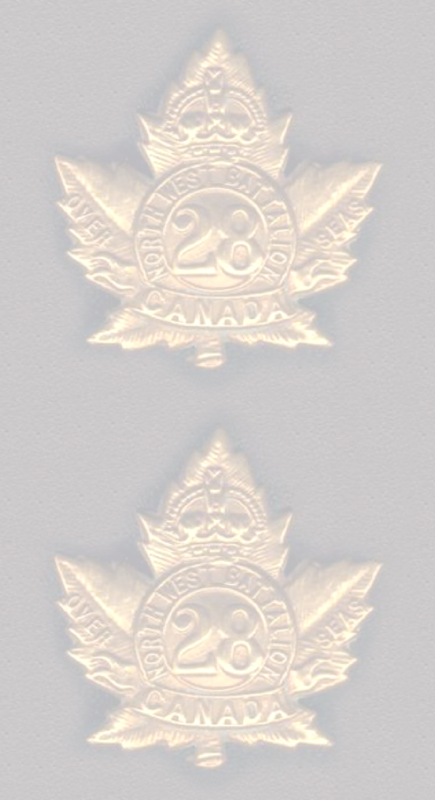 WLH signed his Attestation Papers in Winnipeg on the 5 February 1915. His health was assessed, he nominated his next of kin and was assigned to the 28th (Northwest) Battalion, D Company (many of whom were from Saskatoon area). He was almost 27. According to D E Macintyre (Canada at Vimy) recruits stayed in Winnipeg throughout the winter, training and living in an indoor arena, with no equipment and no winter clothing or adequate uniforms. The Battalion entrained for Montreal on 26 May and sailed for Plymouth, England on the SS Northland arriving there on 7 June. According to Macintyre the voyage and landing were anything if not eventful, with many excited and under disciplined young men on board. On 11 September WLH was ordered to forfeit 4 days pay for the period 7—10 Sept inclusive and 96 hours detention for being absent, with no other information given. Interestingly, he was awarded a qualification as a bomb thrower on 13 September! Bombs in this sense refer to grenades. Macintyre (Canada at Vimy, pp 11-12) records a grenade section being created in the Battalion, of men who were keen on the idea of man-made tin can grenades. A night time practice led to considerable alarm and confusion about this time Perhaps this is where WLH was. War Diary 6th Inf Bde, 12 Sept 1915, item 101. Order No 952. ‘All N.C.O.s and Men who have qualified as Bomb Throwers and are qualified to be posted to the Grenade Co. of the Division should appear in part II Orders of the Unit to which they belong as ‘qualified as bomb throwers’ so as to permit this part of their Military History being regularly recorded.’ WLH’s qualification was listed only on his personal papers and he was not assigned to the Grenade Co. The Army would not wish to disregard any training which contributed to its strength, so credit was given- although perhaps a little grudgingly. Training began at Dibgate Camp near Dover. Later the training moved to Otterpool in Kent. The extensive training syllabus included, drill, digging, musketry, bayonet fighting, outpost duty training, sentry duty, scout training and patrols, map reading, reporting, laying out bivouac and outpost protection, field dressing, smoke helmets, mock attacks at section, company and battalion levels. They were inspected by King George V on 2 September. 18 Sept 1915 entrained for St Omer, France. War Diary: Wonderful comment and observation from October War Diary 2nd Div. Bits of humour: pigeons seen flying into enemy trenches…commentary congratulations enemy on improvements to their trench rations! Casualties - 1 pig. This has not been confirmed by the infantry. 25 December: 'Our men greeted Fritz at Morning Stand To with machine gun & rifle fire, but enemy did not reply, scarcely a shot was fired during the remainder of the day, no artillery & no fraternising with the enemy, 2 companies in strong points relieved 2 companies in front lines.’ 28th Bn War Dairy There was to be no repetition of the Christmas Truce of 1914. Daily routine: The ‘Morning Stand to’ also known as ‘Morning Hate’ was a daily routine in which men with fixed rifle bayonets were on the fire step of the trenches before dawn for an hour and a half. 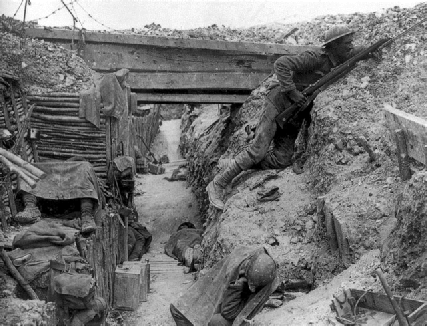 Often small arms fire, machine guns and light artillery were aimed at the enemy trenches. Little damage was done and it was largely a waste of ammunition, but kept troops alert.